Are you one of the rare few who have stuck to your New Year’s resolutions this year? Many people make resolutions, yet quickly fail or abandon their goals unfortunately. 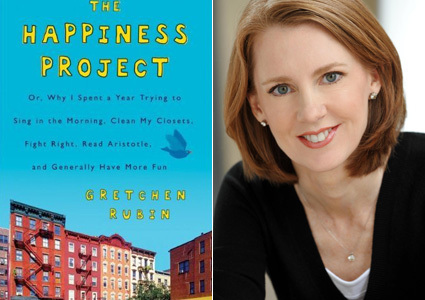 Gretchen Rubin, a freelancer writer in New York City, chronicled her year-long pursuit of happiness in her bestselling book – The Happiness Project: Or, Why I Spent a Year Trying to Sing in the Morning, Clean My Closets, Fight Right, Read Aristotle, and Generally Have More Fun.